A dramatic and demanding expedition over wild backcountry and lonely hilltops with solitude aplenty to ponder the myths and legends that echo across these spectacular borderlands. 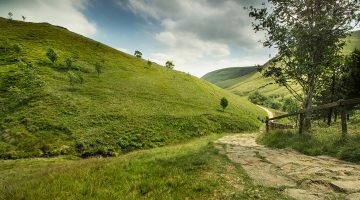 This tough final section of the Pennine Way is a suitably spectacular climax to England’s most iconic National Trail. 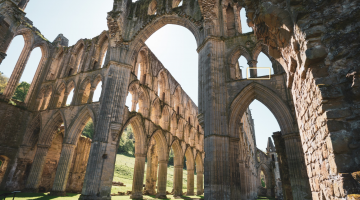 This fitting finale to England’s oldest National Trail includes – according to its originator Tom Stephenson – the very best section of the entire route. The lofty traverse of the Cheviots – almost certainly England’s most underrated mountain range – offers loneliness, seclusion, massive views and hops between one country and the next along a spectacular ridge-line. Starting at the World Heritage Site of Hadrian’s Wall, the route follows the wall for eight glorious miles past Roman Forts, along steep escarpments and beside lonely loughs. This is border country, where, after the Romans abandoned the northern frontier of their empire, lawlessness and anarchy prevailed for centuries. With only the spirits of the Border Reivers for company through mighty Kielder Forest, the trail follows the border up into the Cheviots, where a breath-taking final day across a string of striking summits provides unforgettable views to the north over the Scottish Borders and east over the Farne Islands before descending to the bar of the Border Hotel in the assuming little village of Kirk Yetholm, where a half pint awaits all Pennine Way finishers. There are no easy days and few options to shorten the distances on this challenging final section of the Pennine Way. Each day includes a minimum of 20km / 12 miles and between 500 and 1000 metres of ascent. 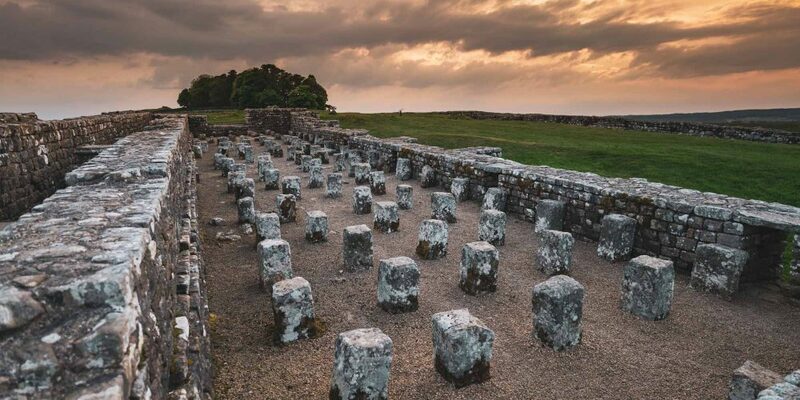 This leaves little time for sight-seeing – although the Hadrian’s Wall sections are rich in historical interest, while the constantly changing views in the latter stages provide ample inspiration. Arrive at Greenhead and have a wander through town and along the wall to get your bearings. Visit the Roman Army Museum to find out about life as a soldier on the Northern Boundary of the Roman Empire. Head East beside Hadrian’s Wall to enjoy some of the best of views of the Scottish Borders and the Northern Pennines. Enjoy the history and archaeology. 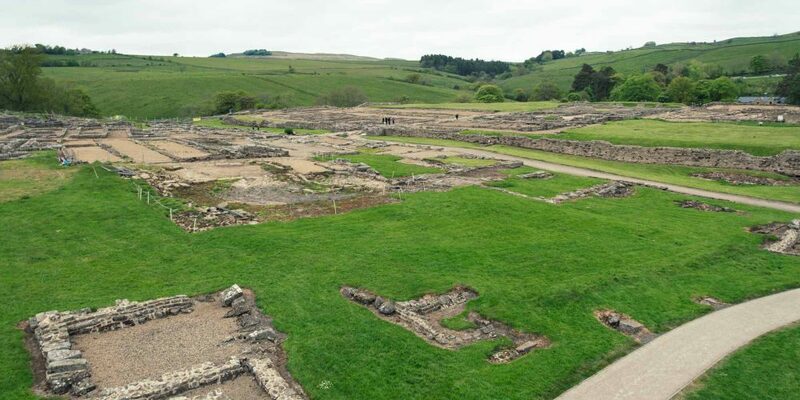 Short detours from the route visit Houseteads Roman Fort, set high on its dramatic escarpment, and Roman Vindolanda. 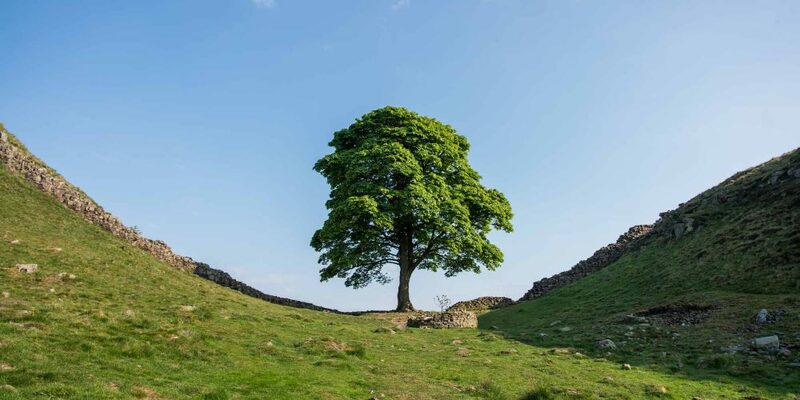 Walk past Steel Rigg and through the iconic Sycamore Gap. Stop off at The Sill National Landscape Discovery Centre before settling in at the Twice Brewed Inn, which also has its own brewery. Ensure you have plenty of provisions for this long section through the wilderness of the border lands. Cross moor, forest and green pastures as the trail heads north from Hadrian’s Wall to the lovely old town of Bellingham on the North Tyne River. Pass the enigmatic standing stone at Comyn’s Cross and look out for rare goshawks swooping through the dense forest of Kielder – Europe’s largest tract of man-made forest. Replace those lost calories with a decent meal at one of Bellingham’s choice of eateries. Make sure you have enough to eat and drink with you before leaving Bellingham as today’s section is the longest and loneliest in this itinerary. Revel in the remoteness and admire the great views north to the Cheviots, east over Redesdale and Otterburn and south to Cross Fell in the North Pennines. The trail heads over 380-metre Padon Hill, whose distinctive beehive summit cairn was built by 17th century religious dissenters, before plunging deep into Kielder Forest again and following the River Rede up to Byrness, where the Forest View Inn awaits. 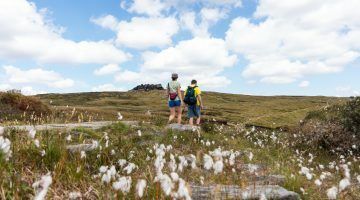 This is the first of two epic day’s hiking through the Cheviots – one of England’s wildest and most under-rated mountain ranges. Leaving Kielder and passing the sites of Roman Forts and medieval villages, the trail follows the line of the Scottish Border up into the Cheviots. 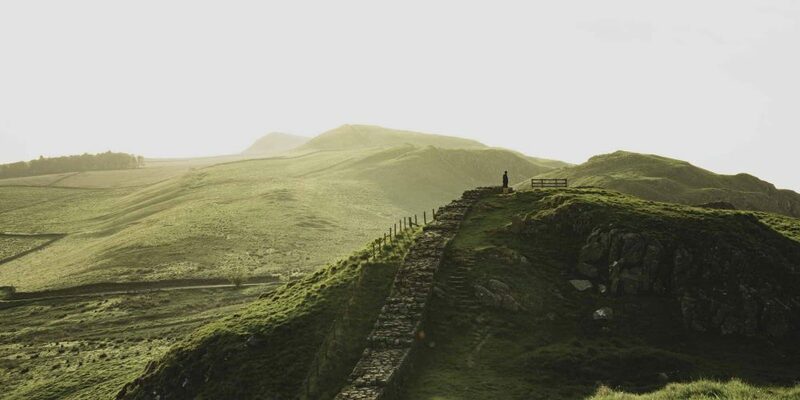 The views across the border into Scotland are stupendous and ‘father of the Pennine Way’ Tom Stephenson, who first plotted the route of the Pennine Way, thought this lofty section to be the best along the entire trail. At the appropriately named pass of Windy Gyle, descend south to Trows Farm to meet your transport back to the Forest View Inn. Your final day on the trail starts with a steep ascent of the Cheviot ridge to Windy Gyle, followed by an exhilarating string of summits offering far-reaching views in all directions. In perfect visibility, a detour to the summit of the Cheviot itself is worth it for the views that open up to the east, otherwise stick to the ridge and admire the deep fissure of the Hen Hole before climbing again to the perfectly conical summit of The Schil. From here, it’s pretty much downhill all the way to the bar at the Border Hotel in Kirk Yetholm. Accommodation on this section of the Pennine Way is limited to a small selection of inns and B&Bs. There is greater choice in Bellingham and a back-packing approach may be feasible in the summer months. You’ll be in good company at the Twice Brewed Inn and the Forest View Inn – both very popular with outdoor enthusiasts and Pennine Wayfarers! Fly into Newcastle, then train to Haltwhistle then taxi (or walk). The AD 122 Bus Service along Hadrian’s Wall route A69 is seasonal – running from Easter to October. You’ll most likely spend two nights at the Forest View Inn, who will pick you up from Trows Farm at the end of the days walking – and take you back there to rejoin the route for the final day. Border Hotel will arrange a taxi to Berwick for onward rail travel to Newcastle. This is a tough challenge requiring good levels of fitness and stamina to traverse wild terrain with few settlements. Being able to carry enough food and water to last a whole day on the trail is vital on two of the days. Waterproofs, walking boots and good map-reading skills are essential. The route remains open all year, but snow and ice can make some sections very challenging during the winter months (November – March) – particularly the Cheviot sections. The longest days (24km and 22km) may present a challenge to complete in daylight during these months. Options are very limited on some sections, but you’ll find good food and drink at the Twice Brewed Inn, right beside Hadrian’s Wall. There’s a brewery on site and the pub’s name originates from the beer served here, reputed to be double strength of normal ‘small beer’ because it was brewed twice. Good selection of pubs and inns in the pretty market town of Bellingham – Carriages Tearoom is worth seeking out. Stock up on high energy foods in Bellingham to see you through the demanding final two days, where refreshment options along the trail are non-existent.